Dropshipping today has reached its popularity peak according to google trends. As you can see the search term “dropshipping” was going upwards since 2015. 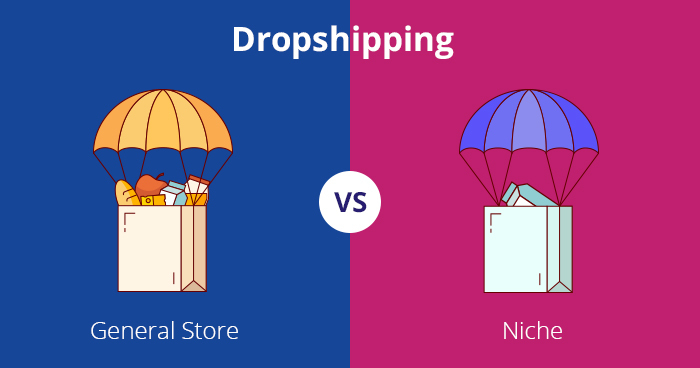 Does that mean that dropshipping is too saturated and it’s not worth to jump in now? There is still room for a lot of stores and ideas. You just have to do that differently, you need to put in more work. Dropshipping will never die, it’s a business model. I started my last dropship store before 8 months and generated more than $50k using only Instagram and now I am working on another store. So I know that you can still be successful. General store or Niche store? Whereas a niche store looks much more trustworthy, cleaner. If people are passionate about for example fishing and they come to your niche store and see all the stuff for fishing, they probably will buy even more than one thing. One product stores are the latest trend, for example, HiSmile probably the most popular one even got Conor McGregor to advertise their product. With one product store, you can beat general stores easily because they pay attention to a lot of products but you only to one. This is the most important part, probably the hardest too. You have to pick products that can’t be easily found in local stores, you need unique, entertaining products. People buy on emotions, and if your product makes them pause emotions then you have a high chance that they will buy your product. There are various things you can look at. Passionate people. People who are passionate about something, for example, cats or dogs. You can sell things for dogs and cats and people who are passionate about their four-legged friends probably will buy them. But the product still needs to be good, not available in all zoo shops. WOW effect. The product should have a wow effect. With that, I mean something that makes them breath faster or makes them share it with friends to show how cool is that. Problem-solving product. Those products are the best in my opinion. For example teeth whitening product. They are also easier to advertise. People are always searching for how to solve their problems and you can offer them a solution. The most popular platform is Shopify but I prefer Woocommerce as it is functional too and much cheaper, you don’t have to pay monthly payments. But you can always test yourself. Whichever you choose, you will need a domain name for your store. Choose a simple, short, sonorous domain, and I suggest using .com extension. I don’t dig deeper into this section, there is a lot of free info on the internet. Just make your store clean, add good quality pictures. Spy on other stores, take a look at how they are doing and do the same. How to advertise a dropshipping store? If you want fast results you need to do paid advertising. Most popular for drop shipping are Facebook ads, Instagram and Google ads. Facebook ads and Google ads are for those with larger budgets. Due to the competition, they become more expensive but you can still make a good profit. For those with less money, I suggest Instagram shoutouts. If you find good accounts where to advertise you can make a killing. You can pay for one shoutout $20 and earn more than $200 back. Many drop shippers with low budgets start with Instagram and then move to Facebook and Google ads. Drop shipping is not getting rich fast business. Well, at least if you are doing that first time. But you can earn good money with it even while working a full-time job like me. You need a good product, clean store and good marketing strategy to be successful. Dropshipping in 2019 is the same as it was in 2017 and 2015, there is just bigger competition, you need to work smarter. My name is Ryan Oak. I am earning with the internet since 2016 when I started with an affiliate website. Currently, I am running 6 dropshipping stores promoting them mainly with Instagram Shoutouts. I have made a step-by-step guide on how I made 50k in 8 months with one of my stores.